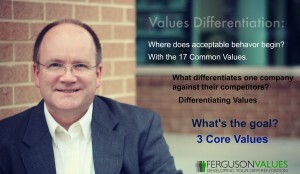 Much of my focus is on helping organizations discover their differentiating values. 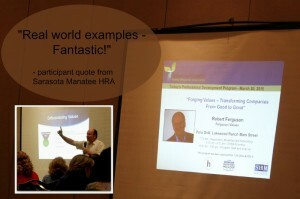 But in my public seminars and workshops, I often facilitate a process for participants to discover their personal values. 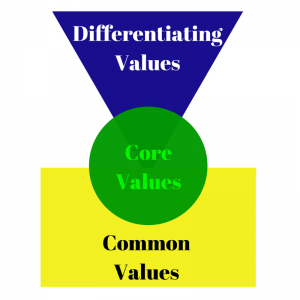 I suspect there’s a link between discovering unique personal values and discovering the differentiating values for their organization. 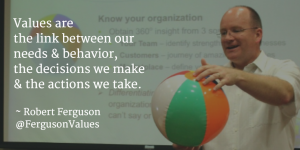 The following outlines the process that I use to help individuals identify their top three personal values. To help with this exercise, I recommend using the list of 423 values defined in my free ebook (download here). 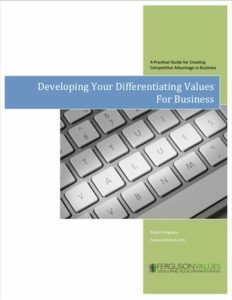 Even though this ebook was designed to help business leaders identify their differentiating values, the same list of values can be used to select personal values. Step-1: Think about your strengths. 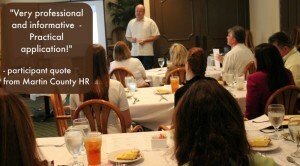 If helpful, write a list of 5-10 strengths. Then go through the full list of values and make a mark or tick (‘/’) beside all the values that support or enhance your strengths. You’ll likely end up putting a mark beside 60 to 120 values (some select more, some select less). Step-2: Consider the values that others would use to describe you. Go through the subset of values you selected in Step-1 and turn the mark into an ‘X’ on all the values that map to what others would say about you. This will reduce the list to between 20 and 50 values (some have more, some have less). 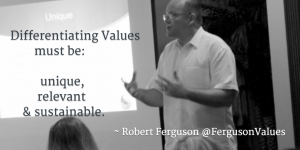 Step-3: Identify the values that are most relevant to your goals. Go back through the subset of values you selected in Step-2 and circle the ‘X’ on all the values that align with and support your personal goals. This should reduce your list down to 10 to 15 values (some have more, some have less). 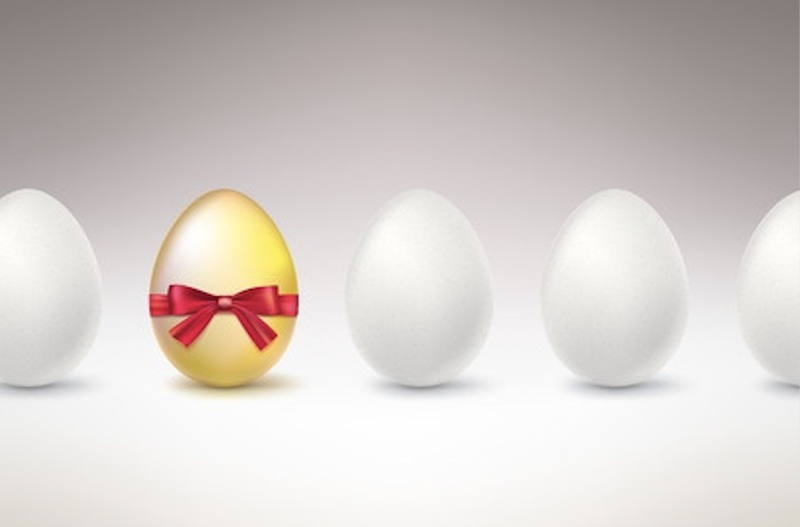 Step-4: Select three values that align with the way you want to be known. Carefully review the values identified in Step-3 and circle the top three values that describe YOU and are ones you can easily fulfill for years to come. Note, your top 3 selected values should not be aspirational. Rather, they should be innate to who you are. 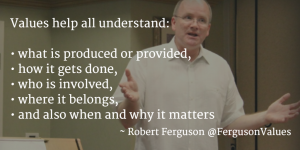 In other words, you already live by these values (just maybe not consistently, yet). If you have followed this process through to it’s completion, then congratulations! You have discovered the three values that make YOU unique!